Good Morning. I See My Assassin Has Failed. This attachment belongs to Good Morning. 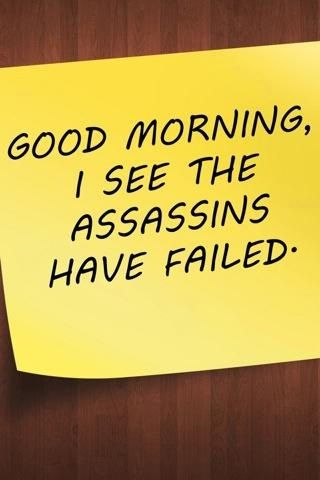 I See My Assassin Has Failed.